Looking to just purchase banner flag hardware? We have pole sets available in 3 different sizes which include a fibreglass pole, star picket ground spike and free carry bag for easy transportation. 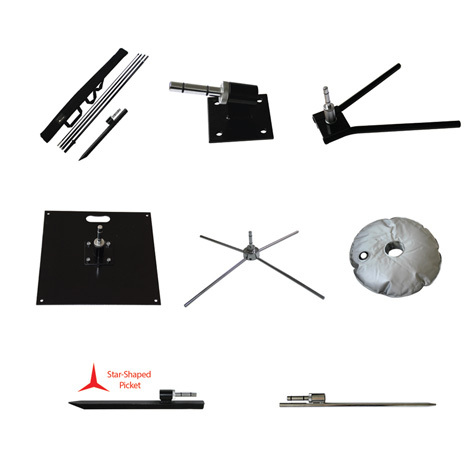 A wide variety of flag bases are also available to purchase separately.